Antigua and Barbuda is one of the world’s largest online gambling service providers. It was among the first countries to legalise and regulate online gambling in 1994. Antigua and Barbuda is a twin island state belonging to the Commonwealth of Nations. Formerly part of the British Empire, the country has been greatly influenced by the British in terms of governance, culture and language. Antigua and Barbuda has been independent since 1981. Gambling in Antigua and Barbuda is regulated by the Interactive Gaming and Interactive Wagering Regulations 2007. All who wish to provide any gambling services including games of skill as well as games of chance must apply for a gambling license. Licenses have been given out since 1994. License holders are required to maintain a physical presence in Antigua and Barbuda. The regulatory body overseeing all Antiguan and Barbudan gambling is the Directorate of Offshore Gaming. 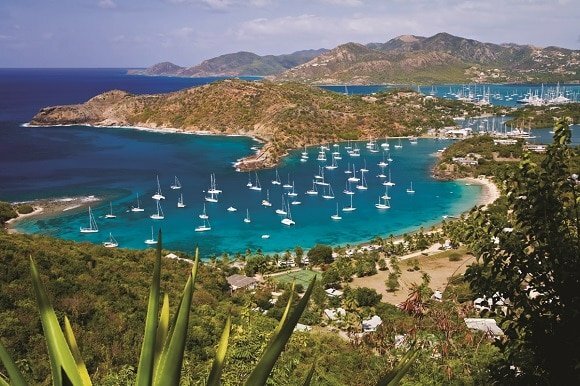 Antigua and Barbuda is one of the jurisdictions whitelisted by the UK Gambling Commission, which means UK residents are allowed to access the services of Antiguan and Barbudan gambling operators. US residents have not been able to access Antiguan and Barbudan online gambling platforms since the stricter regulations of 2003. Antigua and Barbuda have submitted complaints to the WTO stating that the US violated the General Agreement on Trade Services. The organisation has judged in their favor, but so far the decision has been without consequences. Land-based and online casino gambling are both legal in Antigua and Barbuda, but operators are required to possess a gambling license issued by the Directorate of Offshore Gambling. There are 6 brick-and-mortar casinos in Antigua and Barbuda, the largest of which is King’s Casino in Saint John’s, Antigua. Locals and tourists have access to several table games as well as slot machines. Tourists actually frequent the Antiguan and Barbudan casinos, which is part of the reason why tourism makes up more than half of the country’s GDP. Bingo is legal in Antigua and Barbuda in both its online and offline forms. Bingo game operators must apply for an interactive gaming license to be allowed to provide gambling services. Bingo is not as popular in Antigua and Barbuda as other forms of gambling. While there are some Bingo halls in the country, none of its 6 casinos offer Bingo games. Antigua and Barbuda is home to a large number of international online Bingo platforms. These websites offer Bingo games to European players as well. Poker is legal in Antigua and Barbuda; operators are required to obtain an interactive gaming license. Live poker games are available in all six of the casinos in Antigua and Barbuda. A wide range of poker games is available, including Texas Hold’em, seven card stud, Omaha and Caribbean stud. Poker games are also available on cruise ships travelling to and from Antigua and Barbuda. There are several online Poker sites based in Antigua and Barbuda, which are accessible for European players as well as Antiguan and Barbudan residents. Sports betting is legal in Antigua and Barbuda. Those who wish to provide offline or online sports betting services have to apply for a license for interactive wagering, issued by the Directorate of Offshore Gambling. There are several land-based betting shops to be found on the twin islands. However, online sports betting is quite a bit more popular than the traditional version. There are several online sports betting platforms operating from the country of Antigua and Barbuda, which offer a vast array of wagering opportunities. Antiguan and Barbudan online sports betting sites are accessible for European gamblers as well. Several types of lottery games are available in Antigua and Barbuda. As the twin islands are situated in the Caribbean Sea, they have a common lottery with Anguilla, Barbados, St. Kitts & Nevis, St. Marteen and the Virgin Islands, the Caribbean Lottery. Games offered include Keno, scratch cards and the Super Lotto. The Caribbean Lottery games are only available at physical lottery retailers, as there is no online version. The nearby Curacao on the other hand hosts quite a few online lottery games. Other foreign online lottery platforms are also freely accessible by Antiguans and Barbudans. Bitcoin gambling, as all other forms of gambling, is legal in Antigua and Barbuda. Bitcoin gambling is also regulated by the Interactive Gaming and Interactive Wagering Regulations 2007. Bitcoin gambling sites are available for Aniguans and Barbaduans, in fact, the country hosts some of the online Bitcoin gambling platforms in operation. The following online gambling websites accept players from Antigua and Barbuda. Antigua and Barbuda hosts 6 land-based casinos and a plethora of online gambling opportunities are available to the citizens.